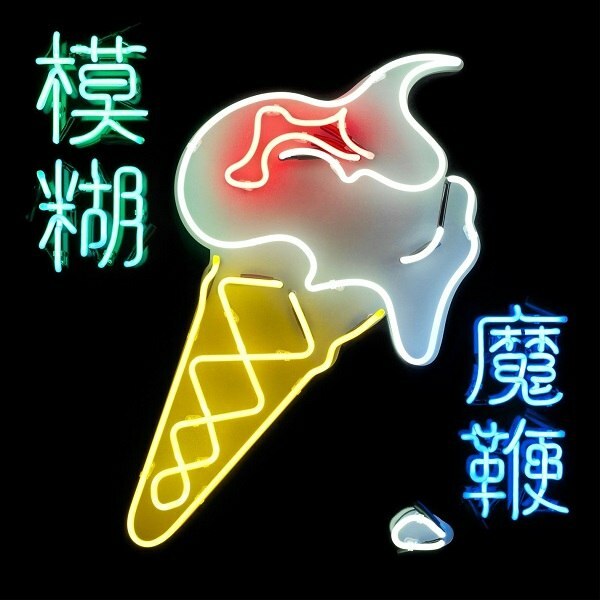 Let’s get this out of the way up top: No, there isn’t a single track on The Magic Whip, the long-awaited reunion album from ’90s Britpop giants Blur, that comes anywhere close to being as unforgettable and indispensible as “There’s No Other Way,” “For Tomorrow,” “Girls & Boys,” “Beetlebum,” or “Song 2.” The boys are older now—aged 46 to 50—and they’ve slowed down considerably in the tempo department; the album title, which refers to an Asian firecracker, is a bit of a misnomer. The jauntiness of old is what I miss most on this, their first new album in 12 years. But hey, show me any Gen X’er anywhere who’s as cocky and exuberant as he or she once was. I sure ain’t. That having been said, there are plenty of reasons to celebrate the return of what I’ve long argued was one of the best if most underappreciated bands of the alternative era, right up there with Nirvana and My Bloody Valentine, and hands down the instant winner of that ridiculous, overhyped feud with Oasis (a fight I called as no contest in an essay featured in the 2008 book Rock and Roll Cage Match, and many times before that). The most invigorating thing about these 12 tracks is that key players and auteurs Albarn and Coxon once again complement each other, bringing more than a decade’s worth of individual musical obsessions and explorations back to a team effort that yields something else entirely. We hear plenty of Albarn’s genre-blurring electronic experiments with Gorillaz, the world rhythms he collected during his curatorial globetrotting, and the thoughtful introspection of his 2014 solo bow Everyday Robots (though thankfully none of the prog pretensions of his 2012 rock opera Dr. Dee). And just as valuable is the always sophisticated sonic playfulness of Coxon, whose self-described “sci-fi folk” solo efforts didn’t get nearly as much attention as his former and once-again mate’s endeavors, but were often just as rewarding. In fact, Coxon may have had to force the collaboration on the spiny Albarn: Most of the record started as jams during downtime in Hong Kong. The singer thought the sessions failed, but Coxon and veteran producer Stephen Street proved him wrong after careful honing and tinkering, and Albarn finished the tunes with his contributions. Fractured or not, this method worked, showing each off to his best advantage during the album’s strongest moments, as well as reflecting the thrill of discovery all four children of Empire took in the mysterious East, just like those Victorian explorers back in the day. Witness the haunting modern nightmares “New World Towers” or “Pyongyang,” the mature mod psychedelia of “Got Out,” the Major Tom lost in the cosmos ambience of “Spaceman,” and the insistent digital pulse of “I Broadcast.” Only when Blur tries hardest to be the Blur of old do things falter, as on the forced swagger of the opening “Lonesome Street” or the cloying sea chantey “Ong Ong.” Then there’s the sing-song children’s ditty “Ice Cream Man,” which is nearly as bad as Albarn’s solo throwaway “Mr. Tembo.” The languid spaghetti Western soundtrack “Mirrorball” and the sorta sappy ballad “My Terracotta Heart” may just be filler, but at least they don’t grate like the aforementioned. So where does this leave us? Well, The Magic Whip is light years better than Blur’s last Coxon-less album Think Tank, even if it’s a big step down from Modern Life is Rubbish or Parklife. But given the stellar level of those accomplishments, that’s still a heck of a compliment, and it’s great to have the boys back. Woo-hoo!